BookingNaplesoffers the complete guide to the Naples Metro. In this article you will find everything you need to know about line 2. Click here for the guide to the art stations and routes of line 1. The Naples metro is among the most famous in the world to boast many stations with works by artists and architects. Although the art stations are on the ones of the line 1, line 2 also deserves to be considerate. By line 2, you can discover not only the city but also its surroundings. Giovanni Barra andGianturco are suburbs of the city. Despitetheirpotentialthey are ratherabandoned. Piazza Garibaldi is the central station from which you can take both line 1 and line 2. Plus, from Piazza Garibaldi you can take local and national trains and go to Capodichino Airport. Piazza Cavour is the Naples Metro stop close to the Botanical Garden, the Real AlbergodeiPoveri (a big building designed by architect Ferdinando Fuga) and the city’s archaeological museum, also known as MANN. The Montesanto station is in the historic center of the city and is close to the university area (near Montesanto you can see the new Architecture faculty). From this stop you can take the Cumana, another kind of train that leads to places near the centre,or the funicular to go to Vomero (near S. Elmo Castle). Piazza Amedeo is another stop of the Naples Metro line 2 where you can get off to take another funicular that leads to Vomero or to go to the waterfront on foot. If you get offinMergellinayou can reach the city centre on foot or take hydrofoils or ferries to the islands of the Gulf. Plus, the Mergellina stop is close to the funicular that leads to via Manzoni and Posillipo, scenic areas of the city. In the future, from Mergellinayou will be also able to take the new line 6. CampiFlegrei is the stop that leads to places like the stadium and theMostrad’Oltremare, a large fascist architectural complex that hosts events and meetings. The Bagnoli stop of Naples Metro line 2 leads to the “city of science”. If you get off to the last stop, Pozzuoli, you can see one of the most beautiful bay of the Gulf or see the famous archaeological area. 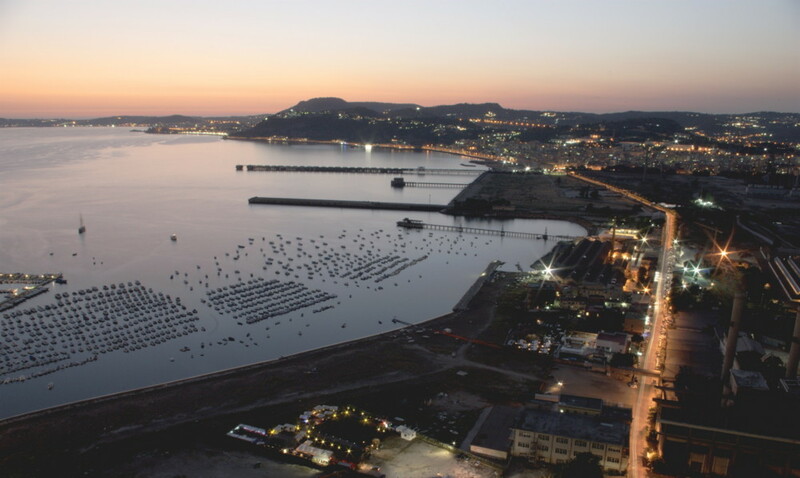 In Pozzuoli there is and another port through which to go to the islands of the Gulf of Naples.